myRecruit (Pty) Ltd is a company that provides online recruitment software that is innovative and easy to use for recruiters as well as candidates where we have a number of job board sites for finding and applying to vacancies and opportunities. These are a range of sites that form part of myRecruit which are aimed at various target audiences in order to further assist various types job seekers out there. The www.myrecruit.co.za website is our main site aimed at providing tools for recruiters and employers to advertise their positions on our job portals and find the best candidate suitable for their role(s) in the quickest time possible. Our system provides a range of built in recruitment tools which make a potential employers life much easier. Our recruitment system allows recruiters to recruit the way they usually work in terms of their own defined processes whilst being able to communicate progress to the candidates automatically without the additional work of sending manual emails. myRecruit can also power your whole companies' corporate careers portal whereby your branded ads would render on your website and all other relevant myRecruit partner and job portal sites mentioned below, applicants can apply directly on your website or on one of our job portals and you would then be able to manage your responses all in one central location without any hassle. We are running a promotion until the end of January 2019, so please contact us on sales@myrecruit.co.za if you would like more information. 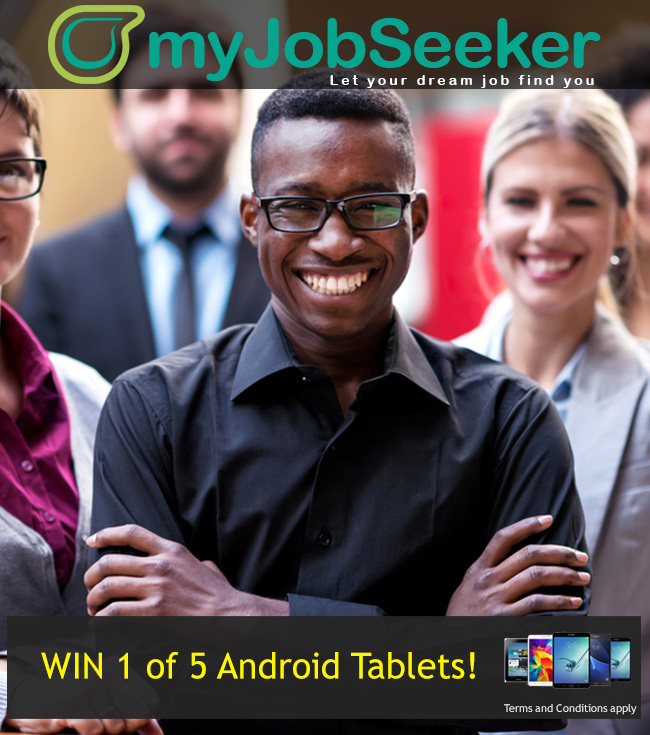 The www.myjobseeker.co.za website is our job portal for experienced candidates that are looking for employment. As a job seeker you can register and login on this site quickly and easily using your social media login or your email address and then complete your profile. Active job seekers are able to apply to positions that have been posted and if they aren't actively looking for a job, they can register and be notified of new jobs that match their search criteria. There are new jobs posted daily on this portal by recruitment agencies and companies that need experienced job seekers. We are also currently running a competition to refer your friends to register and you could win an Android tablet. The www.mygraduate.co.za website is our site that is specifically built with graduates in mind. We have launched this exciting new patented portal with the goal of having a place where graduates can register and be found for employment by companies offering graduate programmes and internships. People that have just graduated in the past year or two, or people that are about to graduate should register on this site and who knows, an exciting graduate opportunity could find you. The www.mymatriculant.co.za website is also a patented portal that is aimed at matriculants and students. The goal of this site is to assist every matriculant to be able to have a CV in order to stand a better chance to obtain employment. This site has employers advertising where not much experience is required and this means that matriculants can be found by potential recruiters. There are a number of exciting new features being built for this site so register now to be kept up to date with developments.